HomeMovie ArchivesOld Movies SoundtrackBATMAN BEGINS Theme Music - GET HYPED FOR "DARK KNIGHT RISES"! 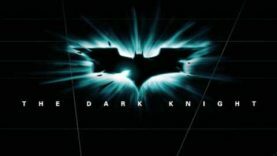 GET HYPED FOR “THE DARK KNIGHT RISES”!!! This video has audio only of the “Batman Begins” theme music by Hans Zimmer and James Newton Howard. Download the track by downloading the Free YouTube to MP3 converter from DVDVideoSoft! Why so serious? Seriously download this song! GET HYPED, AWESOME THEME, I AM A MAN OF MY WORD! [insert spine-chilling evil laugh here]. Alright, I’ve gotten about 200 messages of this same question and I keep telling people that it isn’t on the soundtracks, it’s the music used in the credits of Batman Begins. Right when Batman flys down and the words “BATMAN BEGINS” appears. I copied the credits on my video capture and just extracted the audio and put it to that video. Sorry to get everyone confused and all, I just thought it’d be cool to put it in a vid to get people hyped. Just letting everyone know, Not on soundtracks. Portions of it may be, but not the exact same.